December 4, 2017 December 3, 2017 / Elizabeth T.
With Thanksgiving over, it’s officially Christmas season, one of my favorite times of the year! There’s just something about red and green decorations, sparkling lights, jingling carols, and the scent of cookies and hot chocolate in the air that makes me so happy! One of my favorite things about the holiday season, though, is dressing for the festivities! Though it’s not exactly holiday-party-season just yet, these fashion essentials will definitely put you in the holiday spirit! So without further ado, let’s take a look at 4 of the most coveted essentials for the holiday season! 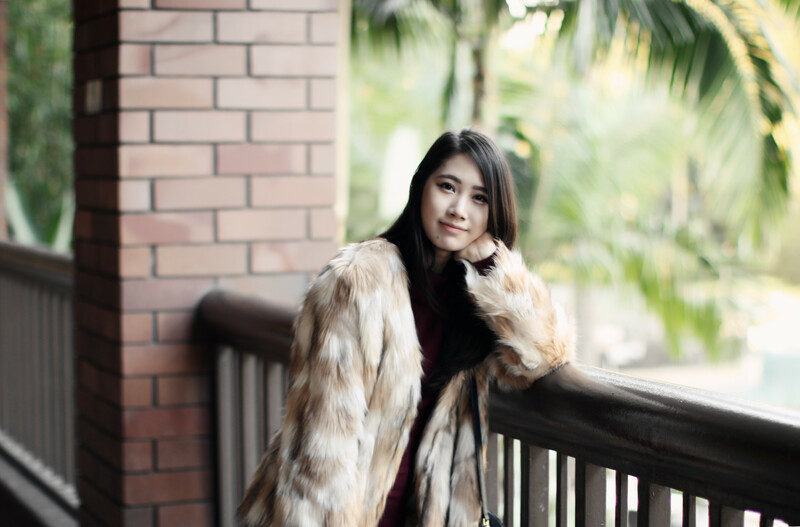 I’ve been loving faux fur jackets so much! There’s just something about the fluff and volume that gives off the perfect “winter” vibe! 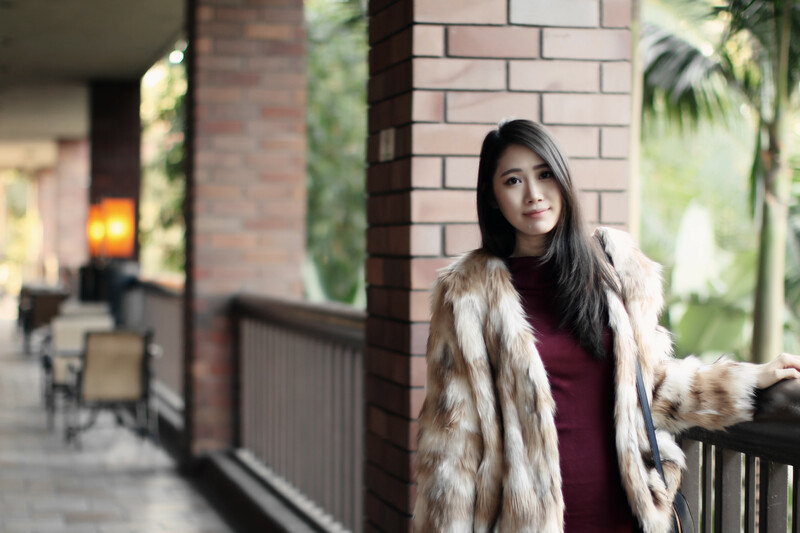 As an LA girl, it rarely gets cold enough in California for the need of a really thick coat, but with a thicker coat, like this faux fur jacket, I can imagine a version of a perfect winter wonderland when I wear it! Sweater dresses are an essential for the cooler months, but one with an off-shoulder neckline in a figure-hugging silhouette definitely helps to elevate just about any ensemble, don’t you think? I’ve been loving this particular sweater dress because the knit not only keeps me warm and cozy, the figure enhancing silhouette helps to give more shape and dimension during seasons where our figures typically get lost in bulky clothing. Plus, the zippers on the sides of the shorter hem really help to streamline the whole look and gives the illusion of longer legs! Of course, we can’t get through the fall and winter without an honorable mention of over the knee boots, can we? While I love booties and boots of all lengths, over the knee boots are just made for the cooler months, don’t you agree? I have a pair in black suede, and recently added this burgundy pair to my collection as well, and I can’t get enough of them! Not only are they super chic and elevate just about any ensemble, they are super functional and really help to keep you extra warm! And of course, last but definitely not least, is a navy bag! While I love a classic black, navy is a strong and confident color that’s still feminine. In choosing is it for an accessory, such as a bag, you can be sure that it’ll match with whatever holiday ensemble you decide to go with this season! What are some of your coveted essentials this holiday season? Let me know in the comments because I always love hearing from all of you! What a gorgeous outfit. I love the burgundy touches, you look incredible! Perfect shades for the holiday season! Thank you so much Laura ❤ 🙂 Glad you liked this holiday look! Pretty! I love the burgundy otk boots. Thank you Jessica ❤ 🙂 And yes, I've been wearing these boots nonstop! So perfect, love everything about this look! Hehe thank you so much Tiffany ❤ 🙂 And yes, knee high boots have been my favorite this season too! Hehe yes, I’ve been obsessed with faux fur jackets lately too ❤ 🙂 Perfect for the holidays! Thanks for stopping by Amy! OMG you’re slaying it in this outfit babe! Love the fur coat on your paired with the thigh high boots!! You look so luxe and classy here. Aww you’re too sweet love ❤ 🙂 Hehehe glad you like this outfit! I've been obsessed with these boots so much too! Thank you for stopping by! 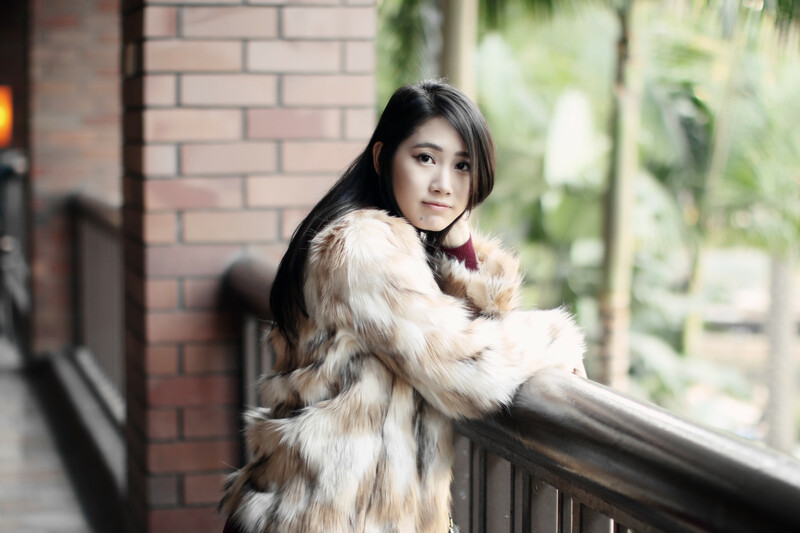 beautiful look, so nice fur coat! This is a jacket that will sure to keep you warm. That dress is a jaw-dropping piece. With an outfit like this, you will stand out. Thank you so much love ❤ 🙂 I've been loving this faux fur jacket so much too! Thank you so much love ❤ 🙂 I've been loving faux fur as well! Those boots are to die for! Definitely perfect for the holidays. Thanks love ❤ 🙂 I can't stop wearing them too!